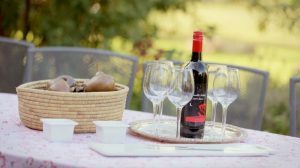 Lochinver Residences are popular for self-catering guests who wish to indulge in their favourite eats and wines.. 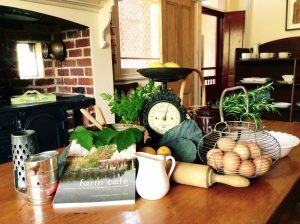 The kitchens in The Homestead, Blue Wren and Creek Cottage are well-equipped for the cooks. Napier’s has a guest’s galley kitchen for light eats. 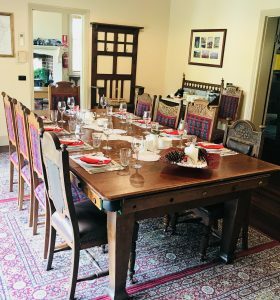 The Homestead has space and cooking facilities for very large groups and gatherings up to 30 or more guests, a great experience for old friends and families celebrating a birthday or anniversary. Shop locally at Maryborough, Castlemaine and local farmer’s markets, great country bakeries abound and have a great coffee while shopping. Catering can be arranged at Lochinver Farm for breakfast, lunch and dinners, popular for special occasions. Dining out locally to capture great cafes and eateries. Tracks Cafe and Wine Bar at the superb Maryborough Railway Station. in the grand dining room or the garden – long table lunch style. 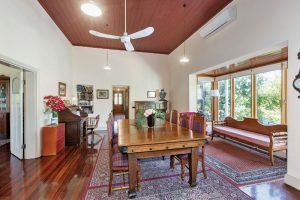 Lochinver is central to the fine food and drinks of north-central Victoria, ask the Williamsons to introduce you to the smaller cellar doors.